So does its luxurious restaurant, where you will be treated like royalty. 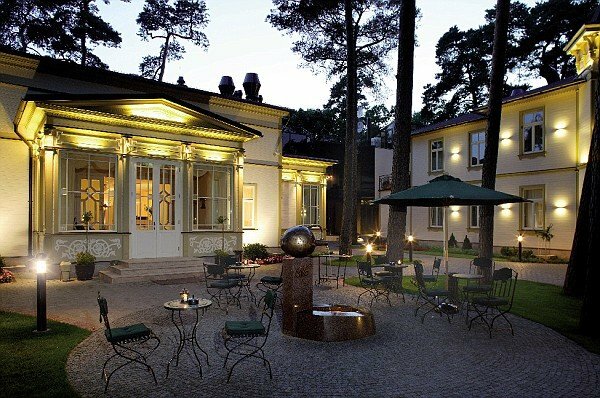 For a long time Jurmala has been a favorite resort that equally attracted residents of Latvia and foreign guests. People came to this town by the seaside to find silence, serenity and this unique atmosphere of the place created by the pine-trees whispering above your head, the rustle of sand below your feet, by the wooden houses – so unusually different from what one has seen – because Jurmala is a real museum of wooden architecture in the open air. TB PALACE HOTEL & SPA is located in one of such pretty wooden houses built in 1908.